Patriniae Herba is a traditional Chinese herb, which can clear heat, detoxicate, remove dampness and apocenosis, and improve blood circulation to remove blood stasis. This paper reviewed the chemical composition and pharmacological action of Patriniae Herba, as well as its features and efficacy on liver cancer, colon cancer, and cervical cancer. This paper aims to provide reference for development and utilization of Patriniae Herba. 国家药典委员会. 中华人民共和国药典[M]. 北京: 化学工业出版社, 2000: 附录35. 刘春安, 彭明. 抗癌中草药大辞典[M]. 武汉: 湖北科学技术出版社, 1994. 周宝玉, 虞文妹. 败酱草与其混淆品苏败酱及北败酱的鉴别[J]. 实用中医药杂志, 2014(8): 778-779. 陈淑玲, 韩亮. 败酱草的现代研究进展[J]. 广东药学院学报, 2017, 33(6): 816-821. 崔文燕, 刘素香, 宋晓凯, 等. 黄花败酱草和白花败酱草的化学成分与药理作用研究进展[J]. 药物评价研究, 2016, 39(3): 482-488. 李娜, 赵斌, 余娅芳, 等. 白花败酱草抗炎作用化学成分研究[J]. 中药材, 2008, 31(1): 51-53. 彭金咏, 范国荣, 吴玉田, 等. 白花败酱草化学成分分离与结构鉴定[J]. 药学学报, 2006, 41(3): 236-240. 彭金咏, 范国荣, 吴玉田, 等. 白花败酱草化学成分研究[J]. 中国中药杂志, 2006, 31(2): 127 -130. 阎新佳, 郑威, 温静, 等. 白花败酱草的木脂素类化学成分研究[J]. 中国药学杂志, 2017, 52(13): 1126-1131. 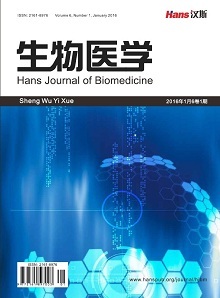 Xiang, Z., Chen, N., Xu, Y., et al. (2016) New Flavonoid from Patrinia villosa. Phar-maceutical Biology, 54, 1219-1222. 范小曼, 金文静, 龙薇运, 等. 白花败酱单宁的提取工艺研究[J]. 食品工业科技, 2014, 35(8): 218-222. 项峥, 阎新佳, 温静, 等. 白花败酱草的化学成分研究[J]. 中国药学杂志, 2017, 52(3): 185-187. 宋敬丽, 袁林, 李收, 等. 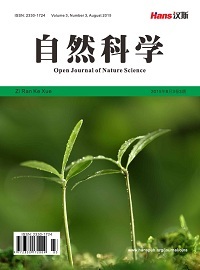 白花败酱化学成分研究[J]. 中药材, 2016, 39(5): 1038-1040. 包永睿, 阎新佳, 杨欣欣, 等. 白花败酱草的化学成分研究[J]. 中草药, 2017, 40(2): 347-349. 阎新佳, 郑威, 温静, 等. 白花败酱草的化学成分研究[J]. 中草药, 2017, 48(2): 247-250. 宋婷, 孙晖, 路娟, 等. 白花败酱草体外抗肿瘤活性部位筛选[J]. 时珍国医国药, 2012, 23(10): 2410-2412. 宋珊珊, 包永睿, 赵焕君, 等. 白花败酱草总皂苷提取纯化工艺的优化[J]. 中成药, 2018(1): 93-96. 陈磊, 张涛, 田黎明, 等. 白花败酱草提取物对小鼠U_(14)宫颈癌细胞的抑制作用[J]. 中国老年学杂志, 2010, 30(8): 1091-1093. 张永强, 耿果霞, 李青旺, 等. 败酱草总皂甙抗小鼠宫颈癌活性研究[J]. 动物医学进展, 2011, 32(3): 69-72. 朴成玉, 房城, 张颖, 等. 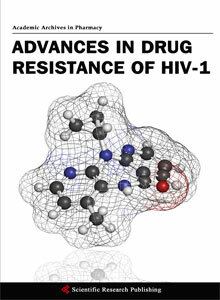 白花败酱草抗妇科肿瘤有效部位对Siha细胞体外抑制作用研究[J]. 黑龙江科学, 2015(2): 10-11. 周庄, 刘望予, 娄云云, 等. 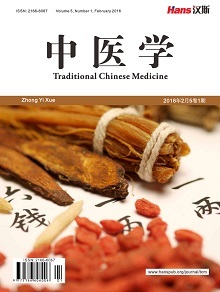 败酱草抑制大肠癌HCT-8/5-FU细胞耐药的作用研究[J]. 福建中医药, 2018(2): 33-35. 黄炜, 杨斌, 陈阳, 等. 败酱草乙醇提取物对人结肠癌细胞Caco-2凋亡与增殖的影响[J]. 福建中医药, 2013, 44(3): 57-59. 魏一萌, 王帅, 孟宪生, 等. 基于SMMC-7721肝癌细胞生长抑制的两种败酱草药效比较及提取方法研究[J]. 中国医药科学, 2013(11): 35-37. 李玉基, 张淑娜, 李洁, 等. 黄花败酱草对小鼠肝癌细胞血道转移的影响[J]. 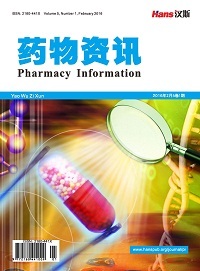 食品与药品, 2013, 15(4): 248-250. 徐锡. 白花败酱草对胃癌SGC7901细胞生长抑制及促进凋亡作用的实验研究[D]: [硕士学位论文]. 佳木斯: 佳木斯大学, 2008: 106-107. 张丹. 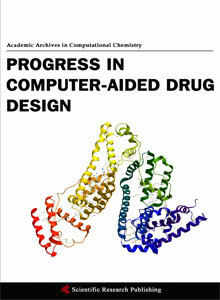 异叶败酱提取物DI对胃癌细胞的抑制作用及机制研究[D]: [硕士学位论文]. 杭州市: 浙江中医药大学, 2015: 10-11. 徐力, 鹿竞文. 中药抗癌研究与临床运用[M]. 北京: 人民卫生出版社, 2012: 35-36. Zheng, L. and Zhao, X. (2017) Study on Ultrasonic Extraction of Patrinia scabiosaefolia Fisch Triterpe-noid Saponins. Heilongjiang Science, 255-260. Jongwook, J. (2010) Aqueous Extract of the Medicinal Plant Pa-trinia villosa Juss. Induces Angiogenesis via Activation of Focal Adhesion Kinase. Microvascular Research, 80, 303-309. 赵志勇, 杨姣. 黄花败酱草的化学成分分析[J]. 锦州医科大学学报, 2016, 37(2): 16-17.